*This post is part of an on-going series cataloging surviving broadcast footage from 1972 . 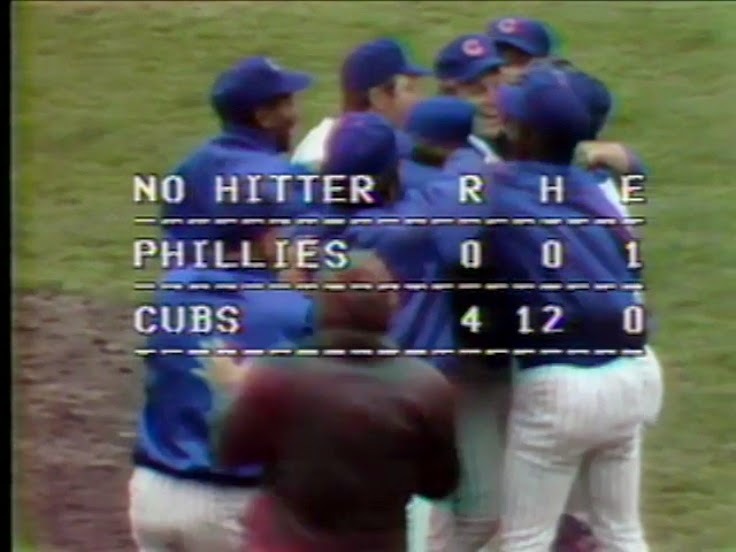 When rookie Burt Hooton took the mound on April 16, 1972 at Wrigley Field, he was likely just trying to solidify his spot in the Cubs pitching rotation. What he ended up doing was etched his name into the record books. On that blustery Chicago afternoon, Hooton was not particularly sharp. While he struck out seven hitters and did not allow a hit, he issued seven walks. He also dodge a few bullets thanks to some defensive help. In fact, he may have only lived on in this game for as long as he did because manager Leo Durocher was sick and at home. After the jump, we will take a look at how much of the game survived and how a few key defensive stops made this day historic.